Tom Chambers is a photo montage artist. He was born and raised in Pennsylvania and in 1985 received a BFA from the Ringling School of Art with an emphasis in graphic design. Chambers has been in solo and group exhibitions both nationally and internationally and is also the winner of many awards. 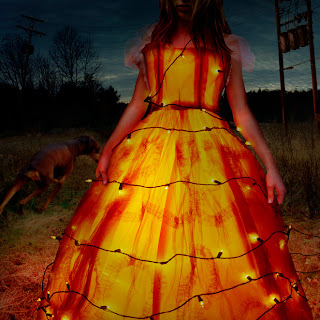 Chamber's artistic development usually starts with sketching an idea and then using a large library of his own photography of different "pieces" creates his final image with Photoshop. The images he creates tells stories that can evoke an emotion from the viewer. The stories can be about childhood or the the transition into adulthood and the fragility of that time. Other stories that Tom Chambers' tells through his photo montage work is of the the broken and volatile relationship between man and nature. 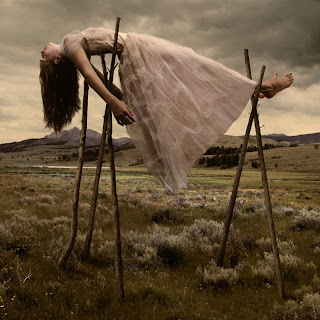 I love Tom Chambers work because of the kind of fantasy world that he creates through photo montage. Each image is a snapshot of a larger beautiful story. Chambers depiction of nature and of youth are highly interesting in concept and visually through the scenes he creates. 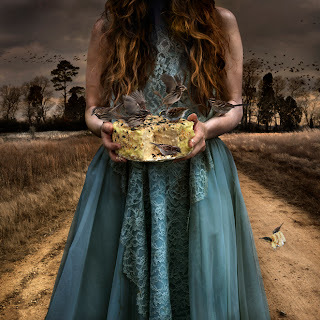 The images I'm posting are from Tom Chambers website, here, from his series entropic kingdom and rite of passage.